Though this may be surprising to some young fans, there was a time when shojo manga covered a wide range of genres — from science fiction mysteries ( They Were 11 ) to historical fiction ( The Rose of Versailles ). Over time, pioneering works of the 1970s and early 1980s were replaced by more mundane, real-world wish fulfillment about high school and teen romance, but the influence of manga greats like Moto Hagio and Keiko Takemiya still shows up in more recent shojo series. Since anime series are rarely released with the same segregated labels as manga (comics in Japan are serialized in magazines with clear demographic labels attached), shojo sometimes even manages to slip under the radar in anime form. Take Jyu-Oh-Sei (lit. 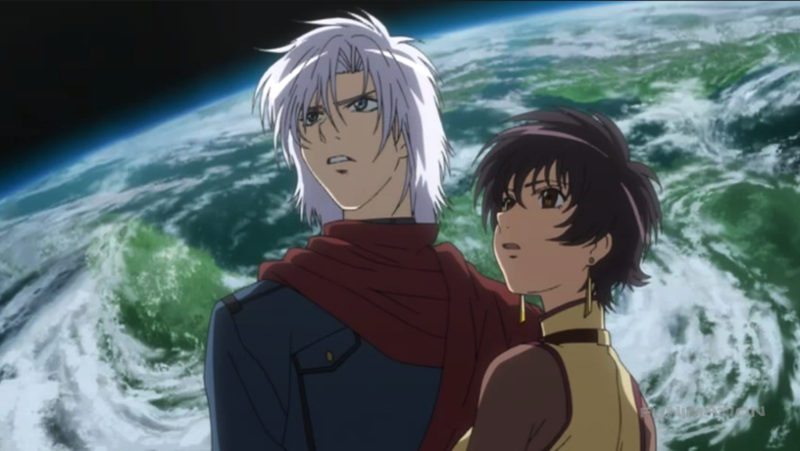 "Planet of the Beast King," 2006), which is a sci-fi anime series from acclaimed action studio BONES and based on Natsumi Itsuki's 1993 shojo manga. My Anime Secret Santa chose Tamako Market , Speed Grapher , and Jyu-Oh-Sei , and the shojo/BONES combination was enough to convince me to try the latter. Of course, if you're not looking closely enough, Jyu-Oh-Sei seems like a shonen series. Twins Thor and Rai, hailing from the high-class space station Juno, witness the murder of their well-connected parents and are sent to the prison planet Chimaera (seemingly to cover up their parents' deaths). On Chimaera, the days and nights last a half-year each, and the surface is covered with giant, carnivorous plants. Jyu-Oh-Sei is just 11 episodes long, so there's not much time to learn about the ecology of Chimaera before the story changes gears to politics. There are four bands of warriors, called "Rings," that rule the planet, and each "Ring" is segregated by skin color. Even more fascinating, however, is the way Itsuki imagines the gender balance of this precarious society; while men nominally head up each Ring, women hold the real power as childbearers. Men don't court women on Chimaera. Instead, each woman, every year, simply chooses a man who she likes and bears his children. Killing women is therefore a grave crime due to their ability to propagate the human race. Again, however, this detail quickly takes a backseat; the story pairs Thor off with a headstrong Chimaera girl, Tiz, and moves along. I haven't read the manga, so it's possible Itsuki's original story gets into more detail about Chimaera's harsh environment and society and the romantic drama they must generate. Instead, BONES' version skips ahead in time and focuses on a series of violent conflicts, between Thor and the heads of the Rings, that should lead to him defeating them and becoming the "Beast King" and thus escaping from Chimaera. In part because the series doesn't have time to build up many of its characters, Thor's adversaries get virtually zero characterization (save one character with marginally more sophisticated, but still fairly simple, motivations). The lack of a strong, clear antagonist (the only villain who looks like they might fit the part becomes a hero almost immediately) or central goal (Thor only really commits to becoming the Beast King partway through and is, even then, not totally sold on it) makes the whole story feel like an aimless trek across a poorly defined world. It doesn't help that the romantic tension between Thor and Tiz is only explored in a two-episode arc that casts a bizarre, uncharacteristic shadow of infidelity over their relationship. The last two episodes pack in a series of convoluted twists that feel like scrambling, by either Itsuki or series writer Reiko Yoshida ( Girls und Panzer , Kaleido Star , Tamako Market ), to add more layers to the story at the last minute. Worst of all, there's a massive twist early on that has absolutely no payoff despite its huge importance to the characters involved and clear potential for generating powerful drama. Director Hiroshi Nishikiori's biggest claim to fame before Jyu-Oh-Sei was the high-school comedy Azumanga Daioh. So, maybe it's not surprising that he has so much trouble building up drama in an ambitious sci-fi epic. The visuals, with flat digipaint color work and simplistic character animation, are surprisingly dour. 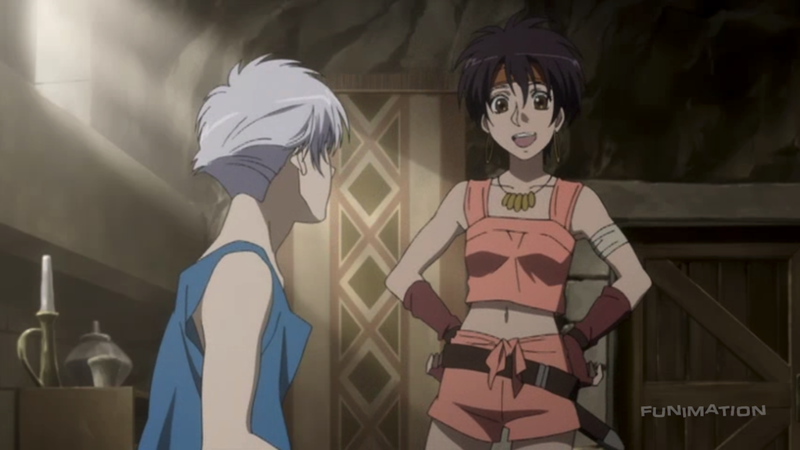 Thankfully, Itsuki's '90s shojo designs, as filtered through series character designer Hiroshi Osaka, produce a delicate balance of curves and sharp angles that resemble Nobuteru Yuki's Escaflowne designs. (No surprise there; Osaka worked at Sunrise in the '90s on G and Victory Gundam and served alongside Yuki as animation director on the Escaflowne movie.) 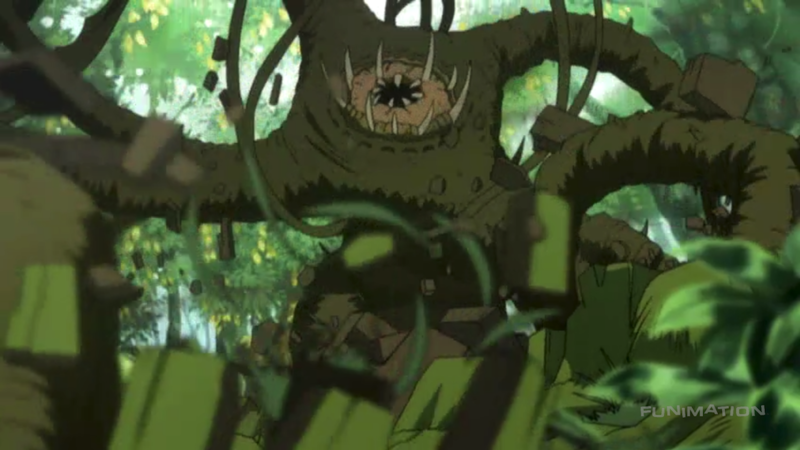 The action scenes are hit and miss, but there's some excellent creature animation on the tentacled plant monsters. This should come as no surprise considering the action pedigree at BONES. Believe it or not, I had high hopes for Jyu-Oh-Sei . I enjoy a lot of shojo sci-fi, and BONES can make phenomenal stuff when they've got the right combination of staff and source material ( Fullmetal Alchemist: Brotherhood ). But the anime feels too incomplete as a stand-alone work. It's possible it was only really made to pump up sales of the manga, which concluded three years earlier. 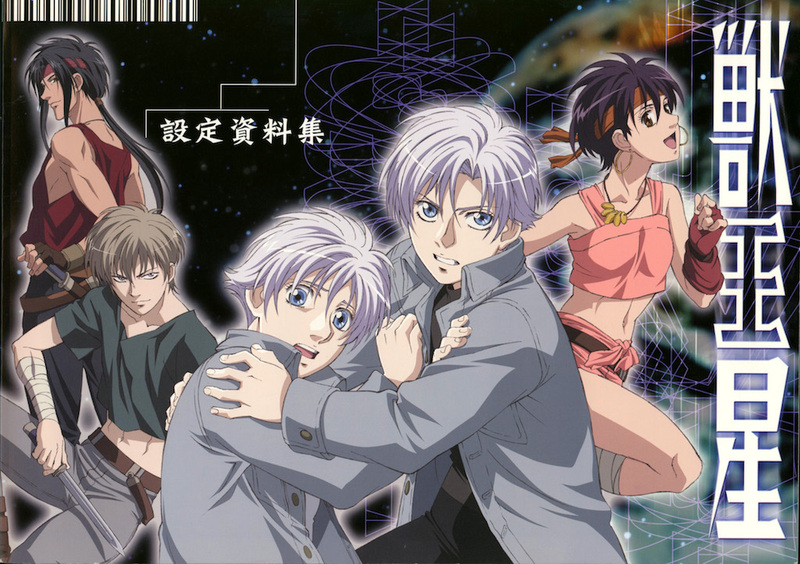 Jyu-Oh-Sei , which simultaneously fails to deliver the high drama I expect of shojo and the intense action I expect from BONES, makes for a mediocre footnote in an already mediocre decade for anime. This review is based on a streaming video on the FUNimation site.